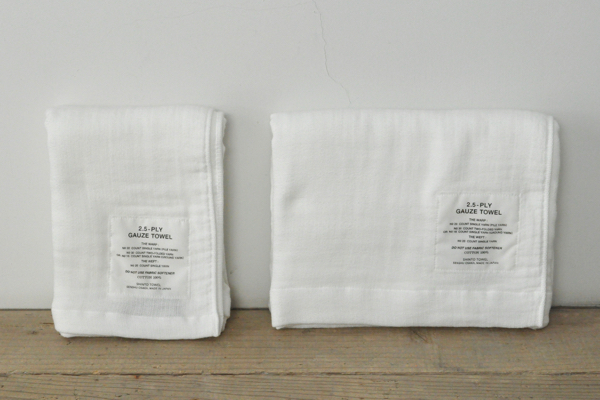 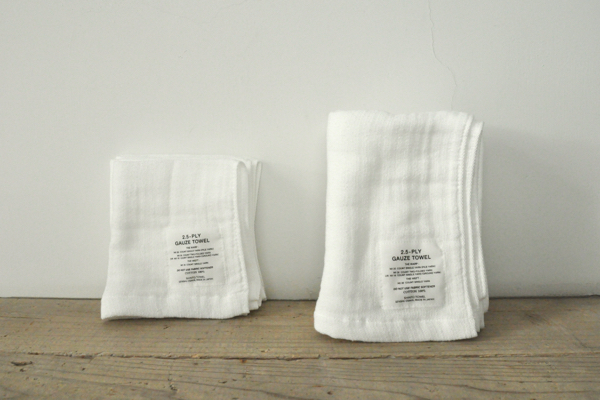 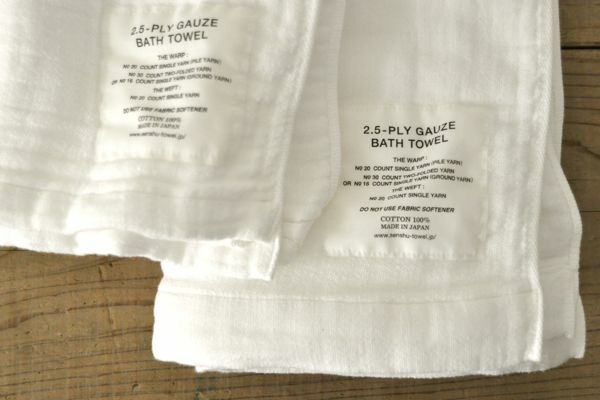 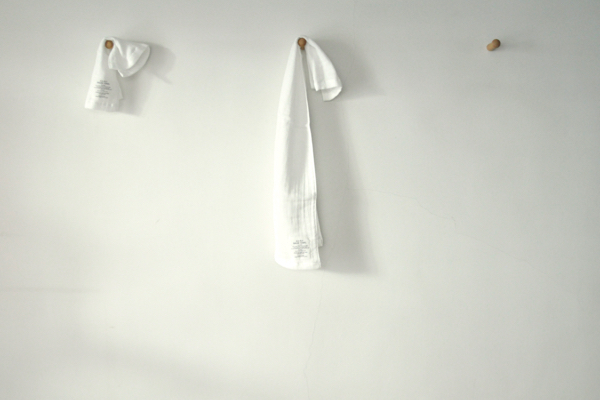 SHINTO TOWEL　2.5-Ply Gauze Hand Towel　Price : ¥500+Tax　Color : White　Size : 32cm×32cm　Cotton100%　Made in Japan. 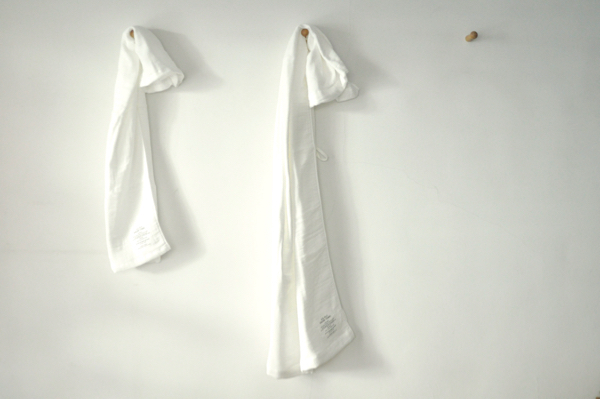 SHINTO TOWEL　2.5-Ply Gauze Face Towel　Price : ¥900+Tax　Color : White　Size : 32cm×80cm　Cotton100%　Made in Japan. 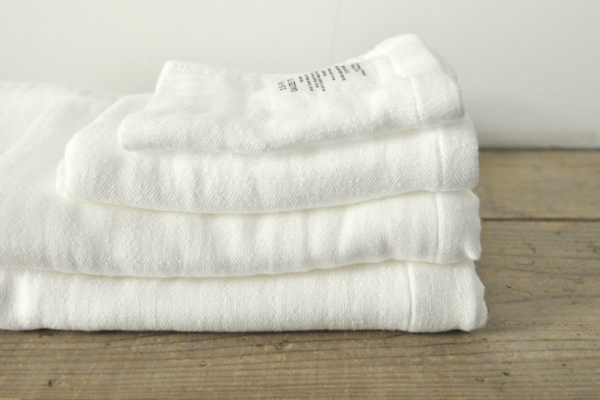 SHINTO TOWEL　2.5-Ply Gauze Towel M　Price : ￥1.600+Tax　Color : White　Size : 58cm×100cm　Cotton 100%　Made in Japan. 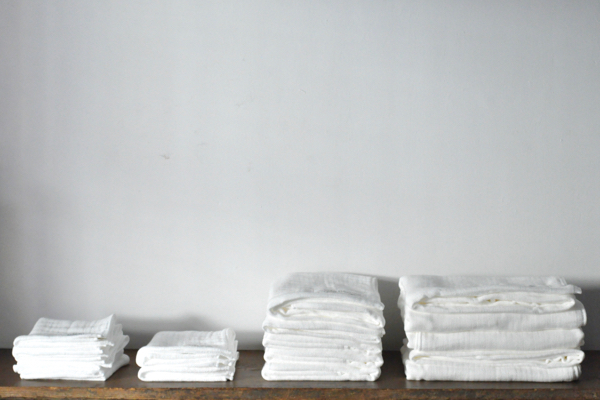 SHINTO TOWEL　2.5-Ply Gauze Towel L　Price : ￥2.800+Tax　Color : White　Size : 88cm×140cm　Cotton 100%　Made in Japan.